Verena G. from New York, NY US recommends this vacation rental. We (family of 3) had an amazing time in Maui, thanks to the fantastic accommodation in Kaleialoha. The views from the balcony are breath taking and we enjoyed watching whales and turtles swimming by, as well as beautiful sunsets. The apartment is very comfortable, nicely furnished and has all you need for a great vacation. Will certainly come back! Everything was perfect. Mahalo! Fabulous ocean breezes and pounding surf. A guest from Lake Country, BC Canada recommends this vacation rental. We very much enjoyed our stay here. The condo is a little dated but for us that added charm, it’s very Hawaiian style. The condo included everything to get you started and all of the equipment to enjoy the beach and day trips. We loved sitting on the deck with an unobstructed ocean view watching sunsets and rainbows,. We also loved sleeping to the sound of the surf and there was a constant breeze to keep the place cool. We had a very good stay. So glad you enjoyed! Hope to see you again! Jeanie M. from Trufant, MI United States recommends this vacation rental. Appreciated having a washer and dryer, as well as a cooler, blender, body boards, and lawn chairs available for use. Mahalo Jeanie! So glad you enjoyed! Hope to see you again soon! Jean & Dean S. from Medford, OR United States recommends this vacation rental. This is year the 24th year we have stayed at Kaleialoha and will stay.We will be staying there in 2020. Kathleen M. from Lahaina, HI United States recommends this vacation rental. This place is a little older but we were not looking to pay for all the bells and whistles of a large hotel this time. Our goal was a nice place at lower cost. The view was amazing from our condo. Lots of privacy. The pool is out front by the parking lot but that did not concern us. It was very clean and in great condition. We would stay here again. Jeffery H. from Daly City, California United States recommends this vacation rental. Easily accessible and excellent view of the ocean. Price is very cheap compared to hotels and location is convenient. The only negative thing is that the pool is on the street side rather than the beach side. james j. from Lahaina, HI United States recommends this vacation rental. Manuel O. from North Richland Hills, TX United States recommends this vacation rental. This place is amazing! My wife and I will definitely be coming back. We came here for our honeymoon, so private and so beautiful! Came here when I was in high school and I knew my wife would love it for our honeymoon! Matthew C. from Arlington, Va United States recommends this vacation rental. Lonnie helped my wife and I arrange the condo. She was not only very helpful but also very pleasant to talk to and meet. The condo was exactly what my wife and I had hoped for. It was in a great location and had all the features we needed to enjoy our stay. 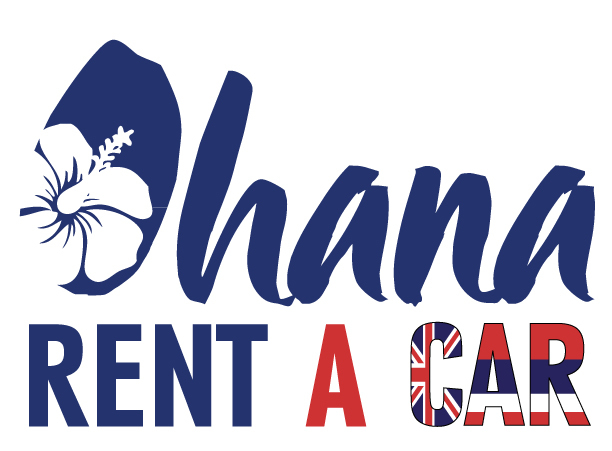 We highly recommend working with Lonnie and staying at the Kaleialoha Condos! Frank W. from Lahaina, HI United States recommends this vacation rental. Have stayed at this location three different years in three different condos. 215 was very nice and clean, had everything required. A new kitchen sink would be a good idea and faucet. TV could be enlarged. Went to the pool ,several days late afternoon. A group of condo owners were there daily. Not friendly at all and made insulting remarks about those that were renters. Tried to have a conversation with them but they didn't want to. To bad, like being friendly with all, met some real nice guest at the BBQ that were visiting/renting. Internet good but had to reboot nightly. I am truly SO SORRY for the behavior of some owners... And I also appreciate comments about other issues and will forward to the owner of #215. Please contact me directly for a repeat guest discount! The condo was very comfortable and well equipped. The outstanding feature was the direct ocean view where we could see turtles near the shore line and whales in the distance. The location was very conveniently close to some lovely beaches. MATT S. from Lahaina, HI United States recommends this vacation rental. Mahalo! And be sure to contact me directly for a repeat guest discount! Robert M. from GRAND PRAIRIE, TX United States recommends this vacation rental. Kimberly C. from Lahaina, HI United States recommends this vacation rental. Mahalo Kimberly! See you next time! 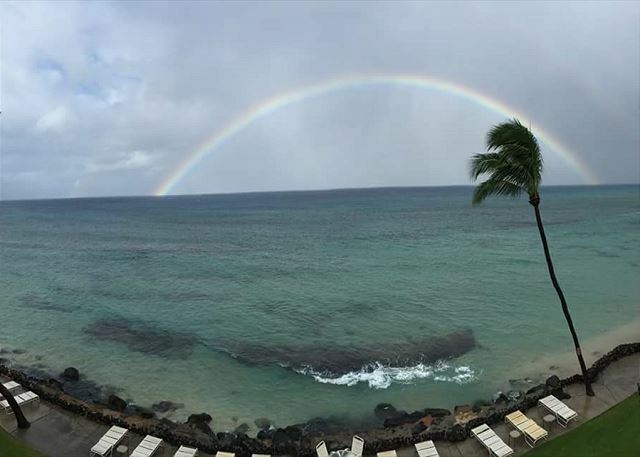 Kaleialoha #215 is just perfect. It is so close to the ocean that you can see turtles from the balcony. I highly recommend. Massimo M. from United States recommends this vacation rental. I don't think to be able to describe. Relax amazing palace green tutles swimming with me. Has been more than what i was expexting. Julie L. from Boucherville, Quebec Canada recommends this vacation rental. Ilse P. from Mannheim, Germany United States recommends this vacation rental. We enjoyed out dtop on our trip round the world in this little paradise. Thank you!! A guest from Raleigh, NC United States recommends this vacation rental. A place we will always remember. A guest from Sidney, BC Canada recommends this vacation rental. All and all a great holiday, we will return and we will tell friends as well. Stjepan B. from Kastav, PGZ Croatia recommends this vacation rental. Maria D. from Chino Hills, CA United States recommends this vacation rental. If you want a great place to spend your time in Maui, book a condo at Kaleialoha. You can have your morning coffee on your lanai and relax while viewing the beautiful ocean. Our unit was completely stocked with everything we needed for our stay. The unit was nicely furnished and convenient to restaurants, markets, shops and only minutes from downtown Lahaina. There is beach access, a pool, movies, books. Washer and dryers right in your unit and an additional laundromat on the premises. Teresa H. from Porterville, CA United States recommends this vacation rental. It was awesome. Can't wait to come again. Everything was perfect. Love #215. Thanks! Katherine P. from Wahiawa, Hi United States recommends this vacation rental. We stayed in unit 215 and it was comfortable and view was gorgeous. They stay was so much easier for us with our one year old because the unit had everything we needed from a washer and dryer to a pack-and-play for the baby to sleep in. Would stay there again. Kim S. from Phoenix, Arizona United States recommends this vacation rental. The property was presented properly. Unit was very clean with everything needed included. Fantastic views of the Pacific and sea turtles. Quiet, friendly and private. Within walking distance from farmers market and fresh coffee next to a nice little park. Being an end unit with the window louvers on the side you can create great air flow. Although equiped, no need for AC. Lonnie provides great assistance and is very friendly and accommadating. Many great local eating establishments close to the property. We plan to return and stay in this unit. Jennifer & Tim M. from Glendale, AZ United States recommends this vacation rental. It was the perfect place for our stay for our 20th wedding anniversary. It was clean, the bed was unbelievably comfortable and the sheets were crisp and clean, the whole facility was awesome and especially the view when you step up that step, open the screen doors and, wow, beauty and great breeze, The sound of the ocean and view are truly magical. Thank you :-) there are no gimmicks with those pictures, it was more than beautiful. the best view ever!!!!! The room was awesome! Claudia M. from Hesperia, CA United States recommends this vacation rental. Another one for the books. Its my 5th time visiting Maui and each time its more beautiful to my family and myself. The condo we stayed at was very nice and the views even better. A guest from Forest Hilla, NY United States recommends this vacation rental. It was very good choice,a nice place to stay, quite and the ocean view from the balcony. A guest from Lansing, MI United States recommends this vacation rental. We had no problems with our rental experience which helped make our vacation more enjoyable. It was a nice location, easy to check in and out, well furnished and clean. John B. from Kirkland, WA United States recommends this vacation rental. We rented a second floor 1 bdrm. Very clean,excellent view. Kathy from the office was very helpful with our boarding passes for the air-lines. Can't wait to return. Michael S. from Oakland, CA United States recommends this vacation rental. We really enjoyed the time we spent at Kaleialoha room @ 215. The place was clean and nice and it had a wonderful view. A guest from Happy Valley, OR United States recommends this vacation rental. It was very nice! Loved the lanai! Could even hear and see the ocean while sitting on the couch. It was a centrally located to everything we needed and wanted to see. It was nice to come back to every night. We had a wonderful breeze that blew through the condo every night. Linda P. from Sacramento, CA United States recommends this vacation rental. Wonderful view, lot of Windows for great breezes , very clean. Rodney R. from Folsom, Ca United States recommends this vacation rental. What a beautiful relaxing vacation we had at the quiet, clean, and friendly Kaleialoha Condos! We watched Whales from our balcony, the turtles are a daily visitor, and the pool is very nice and quiet. Stephen B. from Fountain Valley, CA United States recommends this vacation rental. we've stayed in the local area several times and will be coming back. everything went smoothly. Only problem was someone removed our beach towels from the pool area. We replaced them at our cost. lovely suite with a great view, could use an upgrade to their television, but that's about it. Janelle W. from Centennial, CO United States recommends this vacation rental. Our rental experience EXCEEDED our expectation. Everything was done FIRSTRATE. Great beachfront condo, close to everything! Juanita L. from Lahaina, HI United States recommends this vacation rental. The location was wonderful, right on the ocean and close to shopping, entertainment, etc. The rooms were spotless, and included a lot of small items for our use that were very thoughtful: reading material, extra pillow, snorkel sets, basic condiments, etc. The management was very friendly and helpful. Other tenants were also very friendly. It is hard to imagine a way to improve on this property. I would highly recommend this place to friends (and already have). We are returning visitors tothis property and after completing our second stay are very happy and just signed up for next year as well. The property has a perfect location for us 3 doors up the beach from a different condo we stayed at over 25 times that has just grown tired. Kaleialoha is very well maintained. The on site managers are very nice people and we like them a lot. Last year we stayed in an Ultra Deluxe unit and it was very nice. We didn't need all of the fancy wine coolers and other stuff so we stepped down to a superior unit. The view and corner unit features are awesome. It needs a bit of updating as most of the other Kaleialoha units have received. The bed should be replaced, and that alone would have made me a happy camper. Very clean housekeeping, which you do not always get in Hawaii. Some housekeepers forget to look under the bed when they clean, not Kaleialoha. We reacquainted with some owners we met last year, everyone is very it should be, after all we were in Paradise! Love this place it is my Happy Place. My sister and her children are going in July and I know they will love it too! If you want to see whales and turtles this is the place. Teriffic views of Molokai and Lanaii. I know you would be happy if you stayed here too! And a special thank you to Lonnie and Brei, they are the wonderful faces that will make your stay a happy one too! 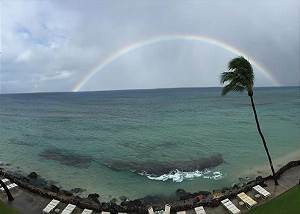 A week in paradise at Kaleialoha #215. A guest from Oakland, CA United States recommends this vacation rental. We had a great stay at Kaleialoha. Everyone was super friendly and helpful. We were in a great location and could easily walk to small beaches, grocery and coffee shops. We hope to be back soon! Michelle R. from Lacey, WA United States recommends this vacation rental. We have stayed at the Kaleialoha in prior visits to the Island, we love this facility. We will book our next stay at the Kaleialoha! Timothy H. from Redding, CA United States recommends this vacation rental. Reg S. from St Albert, AB Canada recommends this vacation rental. A guest from Plano, Texas United States recommends this vacation rental. This is our third time staying at Kaleialoha and have had a great experience each time. The location is great, just far enough from the hustle of all the resorts, yet close enough to enjoy it when you want it. The farmer's market and coffee shop are within walking distance. Many great restaurants are just a short drive away. We will be back! I rented 3 condos for our family. Our son stayed in 215. In his words,"He wouldn't stay anywhere else. Kaleialoha condos #215 made the vacation. The front desk, Lonelle Newman was excellent and very helpful." Eli K. from Hamilton, OH United States recommends this vacation rental. The view form the condo beats any 5 star hotel/resort. The balcony is only a few feet away from the ocean and is perfect to watch the sunset. The place is spotless and equipped with all amenities. A guest from Anchorage, AK United States recommends this vacation rental. We had a great stay at Kaleialoha! The location was nice and not super crowded, with many amenities right down the street. The grounds were beautiful and we got to see turtles and whales every day. The unit was clean and had everything we could need. We would definitely return! TC B. from Riverside, CA United States recommends this vacation rental. We were extremely pleased with our condo. The view was breathtaking and it was quiet and serene. The condo was spotless and was perfect for our needs. It was in a great area and close to downtown. I would highly recommend it and I have told all my friends and family about it. Thank you for making our trip a trip of a lifetime! A guest from Atlanta, - United States recommends this vacation rental. Location, location! I had a great time here, swimming with the turtles. The location is great, the unit had everything you need. I would definitely recommend to anyone staying in the west part of Maui. We have stayed there a couple times for vacation and are coming back again next year! This condo is great!! A guest from Springfield, MA United States recommends this vacation rental. We weren't initially too concerned about lodging because vacationland being out and about, not hanging around inside. But when we arrived and checked in, we just wanted to admire the lanai view and comforting breeze. The unit was perfect! We ate, slept, relaxed, enjoyed every moment, including the amenities like beach umbrellas and coolers. The only disappointment was that the washer/dryer was much smaller than anticipated, but who wants to spend vacation doing loads anyway?